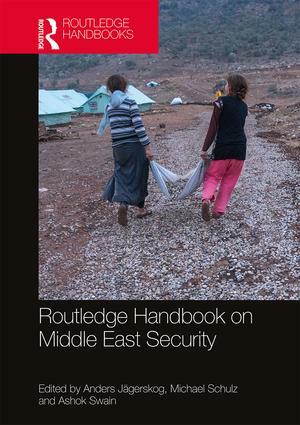 Our associated research fellow Martina Klimes, Advisor at the Stockholm International Water Institute (SIWI) and Elizabeth Yaari, Senior Manager, SIWI, contribute to this volume with the chapter “Water and Security in the Middle East – Opportunities and Challenges for Water Diplomacy”. In the chapter it is addressed how acute water security challenges alongside failure to resolve armed conflicts and political tensions, as well as the continued high politicization and ineffective management of transboundary waters in the Middle East, have created an argument for focused attention to the theories and practices of water diplomacy processes. The chapter proposes a definition of multi-track water diplomacy and identifies key entry points within and between informal and formal water dialogue platforms to improve water diplomacy engagements in the Middle East, with a specific focus on the Tigris-Euphrates and the Lower Jordan. The chapter then argues that increased linkages between actors across multiple tracks sharing a water resource can create improved opportunities for dialogue on water issues resulting in increased water security in shared basins/in the region. The book provides a state-of-the-art review of research on the key challenges for security in the Middle East; it will be a key resource for students and scholars interested in Security Studies, International Relations, Political Science and Middle Eastern Studies. The book will be available on February 25th, 2019.